Wearing a helmet reduces the risk of a serious head injury. here are some symptoms that you should be aware of. Be sure to inspect your helmet for cracks and purchase a new one if required. 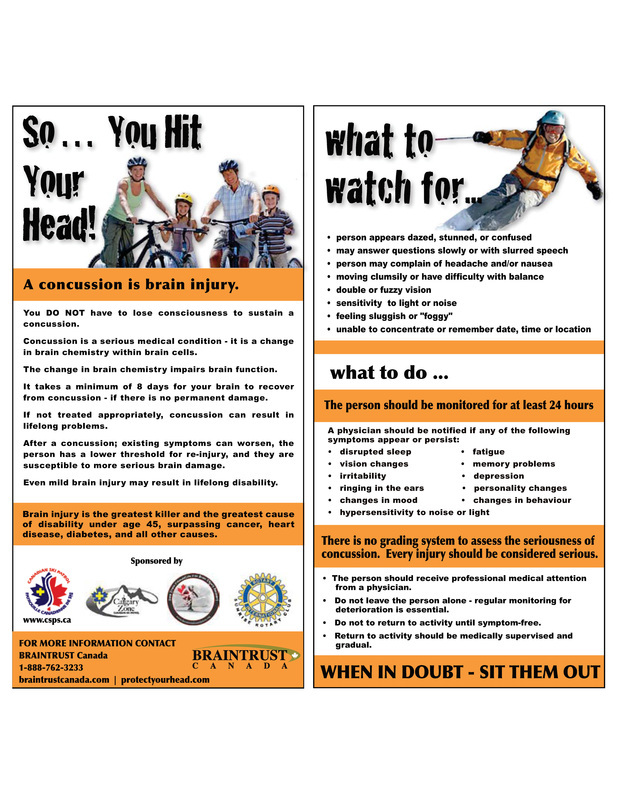 The CSPS, in partnership with BrainTrust Canada, and the financial assistance of the Calgary zone, have made available thousands of concussion cards to inform patients and their families with concussion information and management.